Common corporate actions like dividend increases and share repurchases are designed to improve companies capital structure and increase the value of their shares. When execs start buying back stock and the market hasn't reacted yet, 'that’s where we’d come in,' Cozad says. Common corporate actions like dividend increases and share repurchases are designed to improve companies’ capital structure and increase the value of their shares. Yet, said David Ikenberry, dean of the Leeds School of Business at the University of Colorado, Boulder, it takes a while for markets to react to these steps. Why that is, he says, remains a mystery, but it’s one of those common human behavioral traits that behavioral finance experts like himself believe have existed for decades and will always be present. For firms like Cozad Asset Management, though, the lag time that exists between the announcement of a particular corporate action hits the marketplace and when it is subsequently fully priced into the stock has proven to be the perfect platform upon which to build a successful investment strategy. In 2007, the firm teamed up with Ikenberry and launched a portfolio based upon the latter’s research in the field of corporate transactions and decision making. The small-cap value strategy has proven a huge success and a couple of months ago, Cozad launched its first publicly traded mutual fund, the Cozad Small-Cap Value Fund (COZAX), which follows the same investing principle. The focus on behavioral finance that is the fund’s hallmark is twofold. On the one hand, the fund monitors the actions of corporate decision makers – CEOs and CFOs, who are generally taking decisions for the betterment of their company — and executives of undervalued stocks it believes to have good future potential and strong cash flow, said David Wetherell, lead portfolio manager for Cozad’s small-cap value strategy. The period of market inactivity that typically follows a company’s announcement is equally important. The Cozad team chose to focus on the small-cap space because it lends itself perfectly to the underlying behavioral finance research that Ikenberry has been working on for about 20 years. The Cozad Small-Cap Value Fund employs a strict quantitative and qualitative due diligence process to drill down its investment choices to 120 names from an initial universe of 4,000 companies. 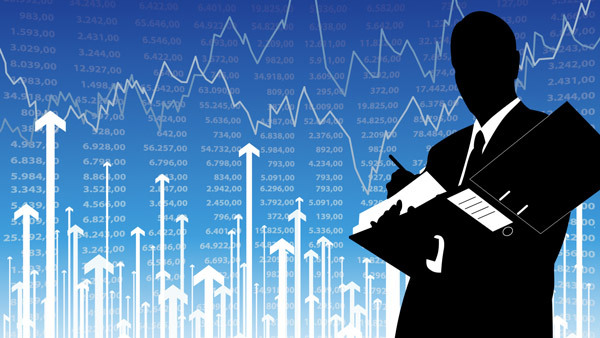 Quantitative data helps identify the characteristics for which the firm is looking – value-oriented, strong cash flows, financial stability – Wetherell said, and qualitative assessment helps the team analyze to what degree the markets may be slow to realize the underlying value of a particular stock. Cozad assesses a management team’s conviction of the company’s market value and its commitment to shareholders by conducting a detailed analysis of its actions related to buybacks and dividend policy. Conversely, the firm looks to avoid those companies that are exhibiting information on equity offerings, dividend cuts and proxy fights, among others.